Ceferina Guerrero, in Chacore, Paraguay. Photo: Maria Sanz Dominguez. In Chacore, about 200 kilometers east of Asunción, Paraguay’s capital, Ceferina Guerrero, 68, walks by shelves of carefully-labelled plastic bottles and metal drums. Each contains a native seed variety essential to the diets of rural communities. Known as Ña Cefe in her community, Guerrero says her surname (which means ‘warrior’ in Spanish) fits her like a glove. She is one of the founders of the Coordination of Rural and Indigenous Women in Paraguay (Conamuri). Globally, 60-80% of food in most developing countries, and half of the world’s food supply, is planted by women, according the UN’s Food and Agriculture Organization (FAO). These trends have alarmed NGOs, rural organizations and international institutions. Maintaining biodiversity, the FAO insists, is “fundamental” for food security and the ability to adapt to population growth and climate change. In Paraguay, just 5% of the population owns 90% of the land. Most of this is used by huge agribusinesses to grow just a handful of crops (including soybeans, wheat, rice and corn) on vast plantations for export internationally. Ceferina Guerrero holds corn seeds, in Chacore, Paraguay. Photo: Maria Sanz Dominguez. Last year, the country imported almost 24,000 tons of seeds. Most were for these export crops. Less than 1% were fruit or vegetable seeds, mostly potatoes. Others included Paraguay’s national fruit: mburucuya (passion fruit). 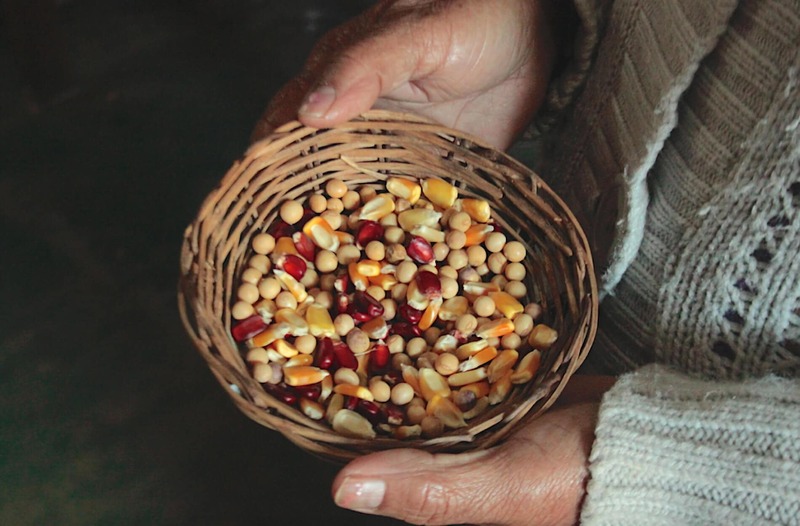 Amid corporate pressure on farming and food production, women who preserve native varieties, like Guerrero in Chacore, are “rare, like needles in a haystack,” said Inés Franceschelli, a researcher for the NGO Heñoi (‘to germinate’). Sometimes called “Terminator seeds,” some NGOs and rural organizations warn that the use of Genetic Use Restriction Technologies (GURT) can displace native varieties and threaten local food security. Paraguay is also a signatory of the UN Convention on Biological Diversity, which in 2000 recommended a de-facto moratorium on field-testing and sales of these ‘terminator’ seeds. Currently, Paraguay is also being pressured to adopt the controversial ‘UPOV 91’ seed convention as part of a free trade agreement being negotiated between the European Union and South American commercial bloc Mercosur. 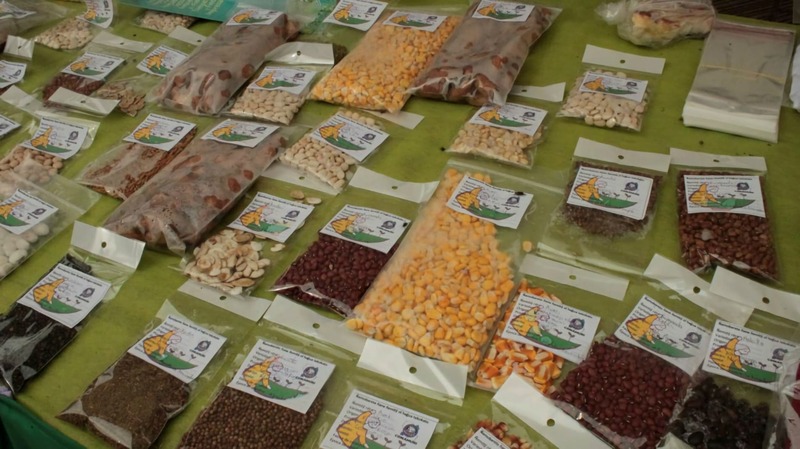 Rural organizations fear that this could enable legal prosecutions against country-people for sharing or exchanging their native seeds, as they will not be able to meet the requirements for seed registration under this convention. Native seeds collected and classified by Conamuri members. Photo: Maria Sanz Dominguez. They are producing ‘green fertilizers’ that help farmland to recover for the next season, and teaching others about agro-ecological farming that takes natural ecosystems into account and encourages planting a diversity of crops. They are carefully labeling containers storing the same varieties of corn their grandmothers used to cook, long ago. They are also rediscovering and preserving native seeds that haven’t been used for many years. 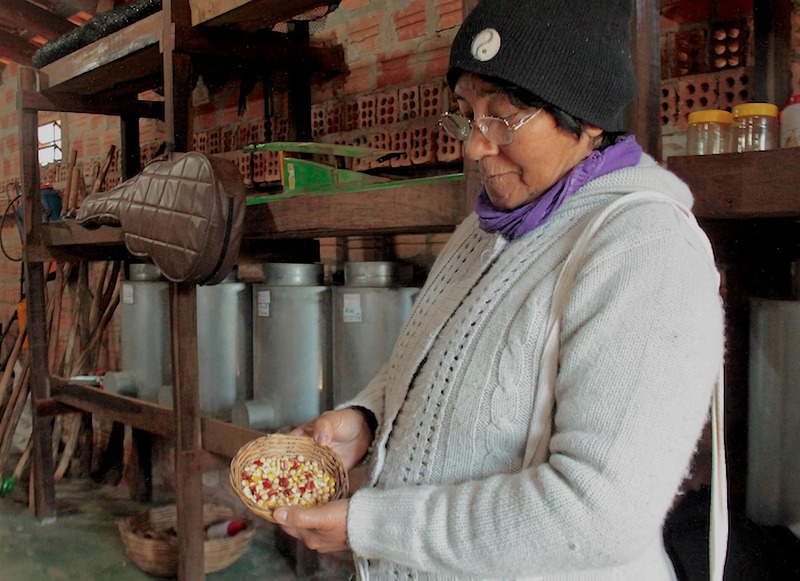 In Chacore, Semilla Róga (“the house of the seeds”) is a Conamuri project that hosts country-people from across Paraguay each month to exchange and learn to preserve native and creole seed varieties. This article was originally published by OpenDemocracy. It has been re-published at IC under a Creative Commons License.